If you like the modern styling, LG was the first to design it. Every other brand has copied it. 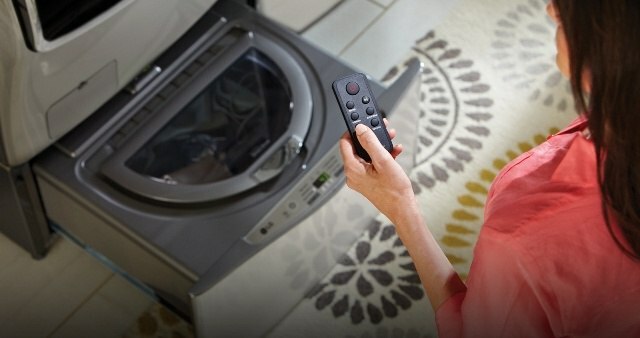 Now LG has designed a pedestal washer to fit under their washer. 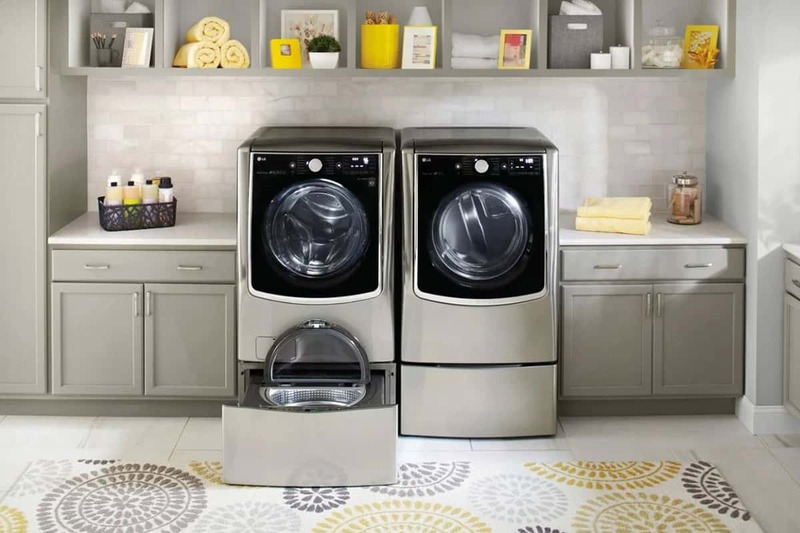 Now you can have two washers for washing different fabrics at the same time. (You've seen the TV commercials with the clothes fighting each other). Is this the new indispensable piece of laundry? Or is it unnecessary? We will look at LG, the product and then review. Have you ever wondered what LG stands for? Well, LG stands for Lucky Goldstar. It's also the abbreviation of the company’s tag line “Life’s Good”. Goldstar was established in 1958 producing the very first radio in Korea. Over the next 10 years the company went on to produce several other electronic products like telephones, TV’s and refrigerators. This was the beginning steps toward LG becoming a global powerhouse in consumer electronics and home appliances. This multinational conglomerate are the innovators of stylish Laundry controls, steam and the faster wash cycles you see today. Let’s take a look at, what I think, is the best laundry gadget to enter the industry since the introduction of front load washers. 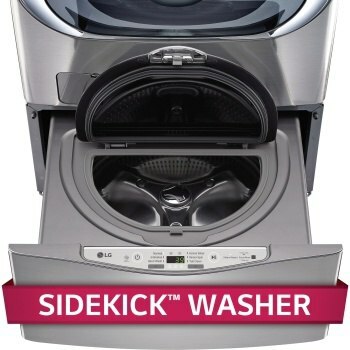 LG has introduced a pedestal for their front load washer that actually has another washing machine in it. For those of us who don’t love doing laundry, it allows you to run two loads at the same time. It seems like every time I go to do a load of darks, I always have just a little bit too much for one load, this idea truly eliminates the need to either run another wash without a full load or waiting until more darks accumulate…genius. 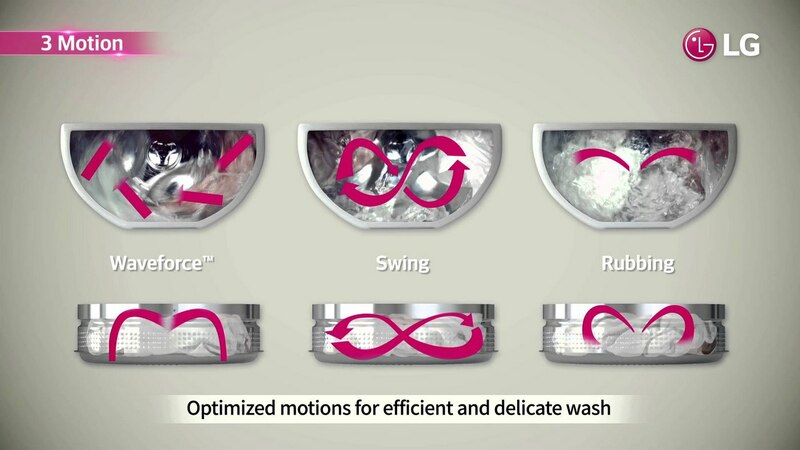 The innovative pedestal washer is available in 27’ or 30’, white or graphite steel for compatibility with almost any LG washer. 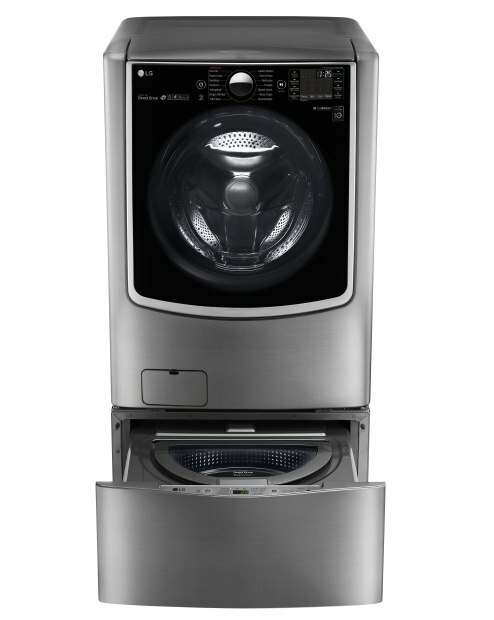 Most LG washers are comparable with these new pedestals. This is a great feature. Simply download the troubleshoot app and follow the prompts to diagnose and solve any problems you may have with your washer quickly and correctly. The remote is used to minimize bending down. 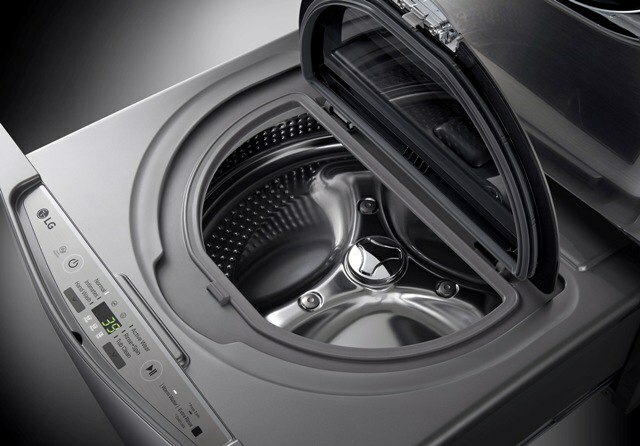 Now, let’s take a look at the main washer, one of LG's largest new washers. Electronic control panel is integrated into the door for a distinct style plus functionality. First, you do not need the capacity even with a large family. The new front loads are 40-50% larger than just 10 years ago. You may not be able to fit them in your basement, because they are so deep. Still, this is great if you do many different types of fabrics. 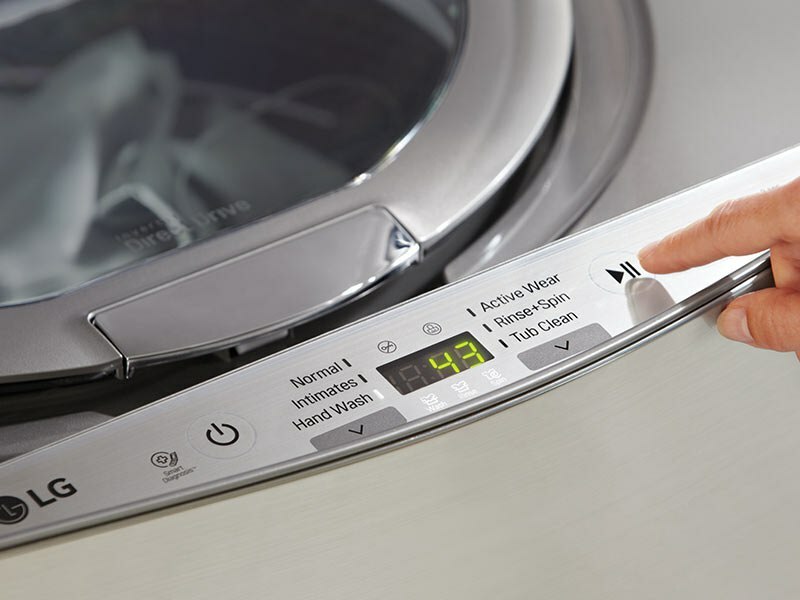 It allows you to wash multiple fabrics at the same time without doing a separate load. With Intimates and Hand Wash cycles, it seems geared to fine clothing. It seems like a good idea...if it works. One minor concern with LG is what happens if it doesn't work. The technical and repair side of LG is not the best. However, this is an interesting piece depending on how you do your laundry, we'll see how this product works out. Have questions on laundry, front loads, heat pumps, hybrids or steam? Then download the Yale Front Load Washer Buying Guide with features, specs and detailed profiles of the major brands and products. Well over 155,000 people have read a Yale Guide.